A powerful message to Neil Young from Salim Vally. 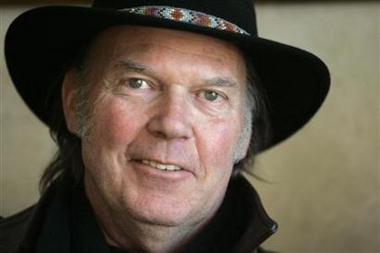 Neil Young is scheduled to play apartheid Israel on July 17th, 2014. Dr. Salim Vally is director of the Centre for Education Rights and Transformation at the University of Johannesburg. He is renowned in South Africa as an academic, educator and human rights activist, and member of the Palestine Solidarity Committee. Your music and songs provided much needed succour during our struggle against apartheid in South Africa. I distinctly remember how we, school children in the notorious John Vorster Square prison in Johannesburg, after the Soweto uprising in 1976, changed the lyrics of your song ‘four dead in Ohio’-recalling the anti-Vietnam war demonstrations-to ‘hundreds dead in Soweto’. We called on the world to isolate the apartheid regime and most of humanity, including musicians, eventually heeded our call. Some though played at ‘Sin City’. Palestinians inspired by our global campaign against apartheid South Africa call for similar action against apartheid in Israel. They ask for nothing more than the basic democratic and human rights that we in South Africa largely enjoy today. Rights that exist in no small measure because of global solidarity. The words of Mandela, “‘We know too well that our freedom is incomplete without the freedom of the Palestinians” resonate with millions of South Africans and are deeply understood by those around the world who have faced adversity and oppression and who know the value of solidarity and our common humanity. Please don’t disappoint Neil. Please don’t play at apartheid Israel’s version of ‘Sin City’. Thank you for your message. Your perspective on this issue helps the movement for human rights for all. From the perspective of a person of Jewish origin, who has been touched by the experience of the holocaust. I cannot comprehend that the leadership in Jerusalem has not learned to establish a society that respects human rights for all its “citizens”. Could you enlighten them Dr. Vally.